Climbing Mount Kinabalu was a fantastic experience and a physically and mentally difficult challenge for unfit 40-something year olds. Dez had also been ill for several days with a fever and night sweats. He hadn’t had a lot of sleep over the previous nights, and he really struggled with exhaustion during the two day climb. So was it worth it? I asked him to write down his thoughts…. Many years ago, Floss and I battled our way up to Namche Bazaar in Nepal on our way towards Everest Base Camp. We’ve told the kids about this adventure many times, and is now firmly part of our family folklore. It’s always referred to whenever we’ve got something tough to work through. After this week though, I doubt that we’ll talk about Namche Bazar again. Mount Kinabalu is the new standard by which all trials will be measured against, because, on whichever level you measure it – physical, mental or emotional – climbing Mount Kinabalu has undoubtedly been the hardest thing we’ve ever done. There were periods of pure and perfect joy and elation. Sitting high above the cloud base, watching the sun set beneath us as thunder storms crowded in from all sides is a vision of perfection that will never leave me. Being together as a family, as the sun climbed over the horizon and the dark, biting cold of the night was replaced with the fresh warmth of a new day is an emotion that can never be forgotten. There were times of pure terror. Suddenly becoming aware that you’re hyperventilating, are dizzy and nauseous and can’t recall what you were doing thirty seconds ago is never a happy occasion, but realising this more than four kilometres above sea level whilst clinging to a rock on the side of a shear cliff isn’t a great start to the day. Got a headache? Yup. Able to count backwards from ten? Nope. First stages of altitude sickness? Almost certainly. And then there was the exhaustion. I’ve never known what it means to be really, truly and honestly exhausted before. Unable to focus. Unable to stand without support. Still unable to count backwards from ten. To sit in a chair, and to just cry for no reason is a horrible experience. But above all, I’m left with a sense of pride that we’ve achieved it and that we’ve achieved it together. We wanted it. We planned it. We went out and got it. We’ve endured the physical struggles of getting to the top. We’ve suffered the mental challenge of pushing ourselves and each other safely back down to the bottom. We’ve shared the emotional highs and lows of the ascent, the descent and our recovery together. We’ll not remember the anonymous hotel we’ve spent the last two days recovering in, and we’ll soon forget the crippling aches and pains and blisters and bruises. But we’ll never forget our time together on Mount Kinabalu. I don’t want to do it again, but I wouldn’t have missed it for the world. 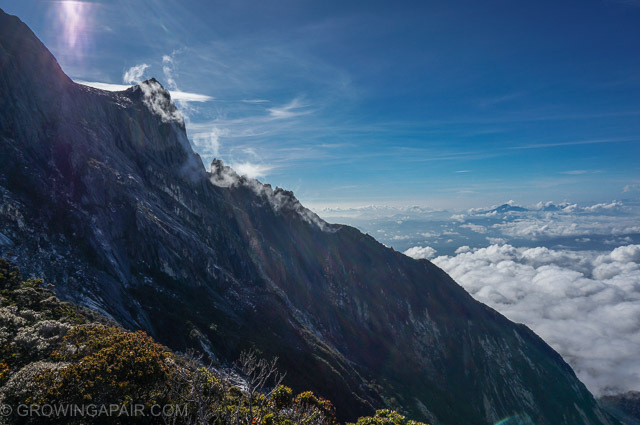 ← Climbing Mount Kinabalu with Kids – An Experience!